At Monday’s council meeting, an ordinance creating an affordable housing district was met with much opposition. Moorestown Township Council fielded questions well into the evening last Monday with public comments coming to a close at nearly 11 p.m. on an ordinance rezoning 160 W. Route 38 as an affordable, multifamily district. While the ordinance was adopted on second reading, it was met with much opposition from members of the public in attendance as well as Councilwoman Lisa Petriello, who, despite voting in favor of the ordinance on first reading, voted against the ordinance. The standing-room-only meeting was filled with residents whose homes border 160 W. Route 38 — colloquially known as the Pennrose property. Residents expressed an array of concerns about the four-story, 75-unit building that will host 100 percent affordable housing. Resident Carol Radomski approached council to inform it that she submitted a protest petition Monday morning on behalf of the residents who live within 200 feet of the Pennrose property. According to New Jersey’s municipal land-use laws, if such a protest meets the required signatures and is filed with the municipal clerk, any amendment or revision to an ordinance can only be passed by a two-thirds vote. Township attorney Anthony Drollas informed Radomski the petition did not meet the required number of signatures. He said the calculations were “technical,” but Radomski should have received an email outlining what was required for her protest to be accepted. Radomski said she received this response at 6:30 p.m. at that day, which did not give her sufficient time to take action. Radomski outlined the reasons she and her fellow residents who live within a 200-foot radius of the property are opposed to the development. She said the development gives favor to people outside the Moorestown area over the residents already living there. She said residents are concerned about runoff and sewage issues, additional traffic and the impact on the surrounding wildlife. She said the residents are not opposed to affordable housing so much as they are opposed to a four-story building in a residential area. Resident Jared DiMartine said at a recent planning board meeting, the board stated the development is not technically consistent with the Master Plan. Mayor Stacey Jordan said Moorestown already has 500 affordable housing units in the center of town. Councilman Michael Locatell said this development is “not inconsistent in spirit” with the Master Plan. He said the Master Plan was written in 2008 before the Council On Affordable Housing was disbanded. “Nothing about this process is consistent with any Master Plan in the state of New Jersey,” Locatell said. DiMartine went on to question why this particular location will be 100 percent affordable whereas the other affordable housing locations will have market rate and affordable homes mixed. “This building will forever be identified as the affordable housing building — the projects in Moorestown,” DiMartine said. Councilwoman Victoria Napolitano responded that Pennrose only builds 100 percent affordable housing. Councilman Manuel Delgado went on to elaborate that the Fair Share Housing Center strongly suggested the township have at least one project that is 100 percent affordable because it will be eligible for tax credits. Resident Greg Newcomer asked Drollas what course of action residents who are opposed to the development can take. He asked if their only recourse is to sue the township. Drollas said there will be a series of fairness hearings scheduled by the court, so that people who are opposed can voice their concerns. He said as the affordable housing continues to roll out, there will be additional opportunities for public comment. Several residents inquired about alternative plans. The township’s affordable housing planner Beth McManus said there has been no direction from the court to prepare an alternative plan that shows how Moorestown can satisfy its obligation without the Pennrose site. Petriello said she had concerns about the property. Locatell, Jordan, Napolitano and Delgado all responded that not working with Pennrose would have put their agreement with Fair Share at risk. Ultimately, the ordinance was adopted on second reading with Petriello voicing the sole “no” vote. 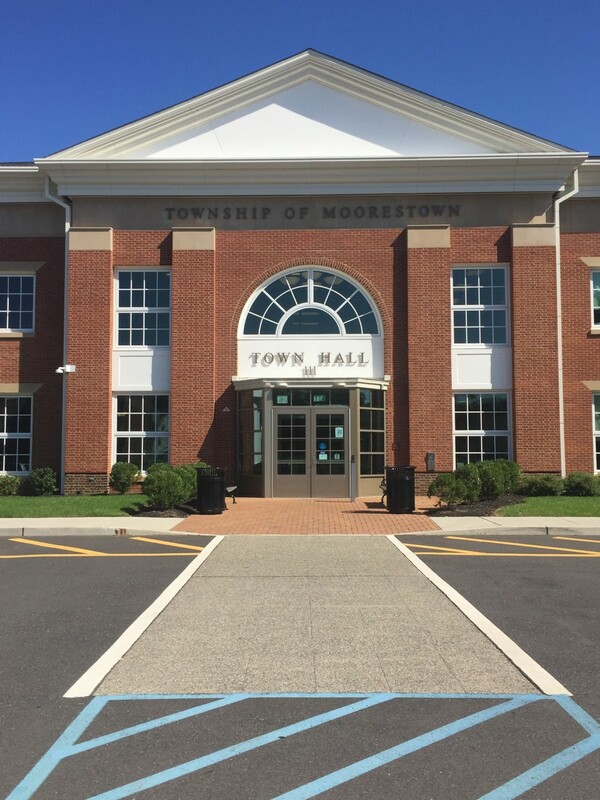 The next meeting of Moorestown Township Council will take place on Monday, May 21, at 7:30 p.m. in Town Hall.